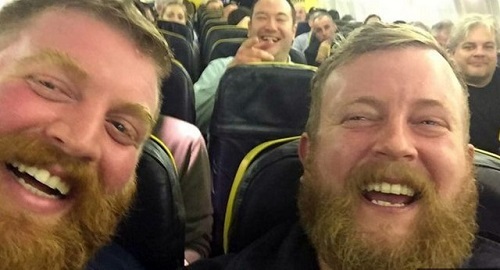 Weird Wonderful Web: Doppelgangers on a plane! Yup, it seems like just yesterday I was posting a story about "meeting your doppelganger", then today another one turns up! Neil Thomas Douglas boarded a flight to Galway, Ireland but when looking for his seat it almost looked like he was already sitting there. This is how he stumbled across his doppelganger and to the delight of other passengers proceeded to take a selfie for Twitter.